If you are involved in a car accident in Weston, the professional personal injury attorneys at Martin, Lister & Alvarez want you to know that you should seek medical attention even though you have no obvious symptoms of being injured. 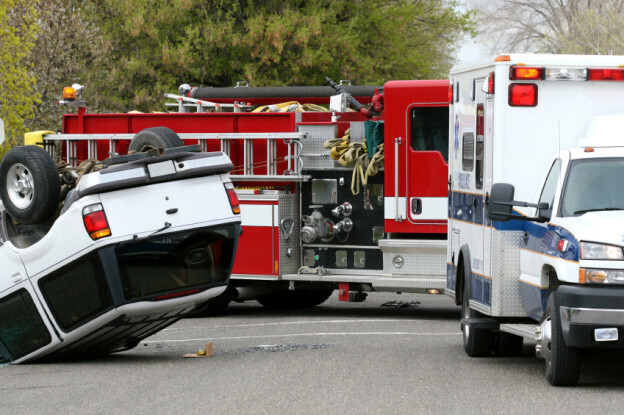 In Florida, it is very important that you see your doctor for an exam as soon after the accident as possible. Why? Because Florida law says those injured in a car crash must seek medical attention within two weeks of the crash or they lose their claim for PIP coverage. Being a no-fault state, your insurance company is responsible for paying for your injuries up to the limit of your PIP coverage. If you wait 15 days before you see a doctor, you forfeit your right to collect. Immediately after a car accident you are likely to experience a variety of emotions to include shock, anger and frustration. Unless you have real pain, these feelings and the whole circumstance will distract you from worrying about being injured. Don’t rely on self-diagnosis to determine if you are hurt or not. Headaches. A persistent headache, a sense of lightheadedness, difficulty with balance are all signs that you may have a serious injury. Don’t mess around with injuries to the head or brain. These need to be attended to immediately. Abdominal swelling, bloating or pain. If you experience these symptoms you may be bleeding internally. Dizziness and fainting can also occur with internal injuries. This can be a life-threatening condition and requires immediate attention. Back Pain. Our backs are typically exposed to short but violent G-forces in car accidents. This force can result in strained muscles or ligaments that will swell making mobility a real problem. Often spinal injuries cannot be detected by an ER x-ray and require more advanced MRI or CT scan to detect damage. The take-away here is seeking medical attention as soon after an accident as possible. Even if you have no symptoms, explain to you doctor the circumstances and he or she will perform an appropriate examination. Remember you only have 14 days to act in order to file a PIP claim. If you would rather not deal with the insurance company, or if you have been seriously injured, contact the professional personal injury lawyers at Martin, Lister & Alvarez for assistance. If you need immediate assistance, don’t hesitate to contact us now!